Washington, DC (May 15, 2017)— National Cooperative Bank (NCB), a leading financial services company serving cooperatives nationwide, named Steven F. Cunningham, president and CEO of S.F. Cunningham Enterprises, LLC and outgoing NCB Board Chair, the recipient of the 2017 Stan Dreyer Spirit of Cooperation Award. The honor, presented each year at NCB’s Annual Meeting is bestowed to those who live and work with the spirit of the cooperative principles. Mr. Cunningham has been a dedicated and visionary board member for NCB for several years. In addition to his service to NCB he has served on the board of directors for the National Cooperative Business Association (NCBA). The Bank carefully selects the yearly recipient of The Stan Dreyer Spirit of Cooperation Award, named for Mr. Dreyer to ensure it’s given to an individual or organization who lives the spirit of the cooperative principles. Mr. Dreyer, who is now retired from NCB, was one of the people who was instrumental in the passage of the Congressional Bank Act in 1978 which created NCB. The award is bestowed annually on an NCB employee or member-customer whose devotion and contribution to the cooperative community emulate those embodied by Mr. Dreyer. 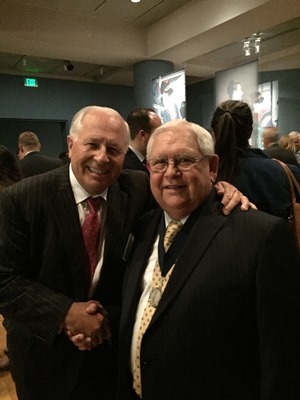 Among his long list of accomplishments, Mr. Dreyer served as Executive Director of NCBA and, in that role was the premier advocate to Congress in helping to pass the National Consumer Cooperative Bank Act, which created NCB. Throughout his career, his dedication to fostering the growth and success of cooperatives, nationally and internationally, has earned him widespread recognition and an enduring legacy.